Ohjaus tapahtuu yhdestä keskellä olevasta "sauvasta"
Please excuse my not existing Finnish. It was hard to register in here by copying every word into the web translator. Therefore I'm posting in English, hoping I'm allowed to do so. The velocar above is my build, I'm proud to find it here in the Finnish forum. If you want more details or photos, feel free to ask about. I like all the builds of Sakari Holma, especially the builds almost entirely from wood. The wooden body of my velocar resembles this, although I have to change to lighter material to save weight. Welcome! What is weight of this vechile? I made something wrong with the pic URLs in my first post. 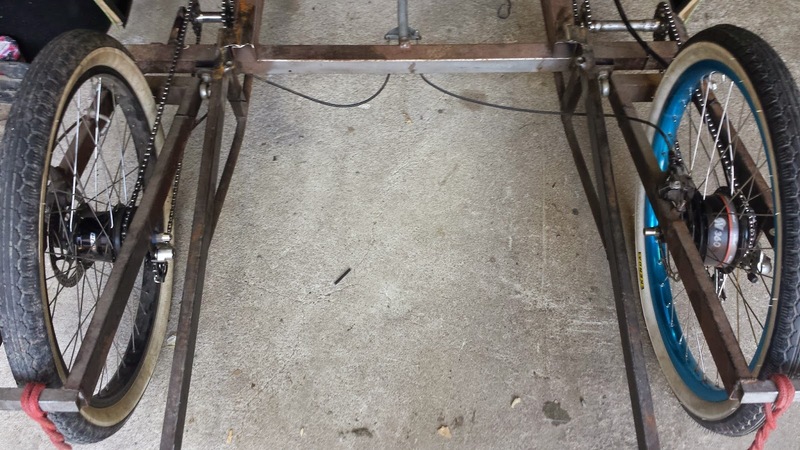 Around 75-80kg due to the oversized steel frame and 4mm birch plywood for the body. Sakari used much thinner airplane plywood. A front hood made of cotton fabric as used on the early airplanes, might be another solution. Kai kirjoitti: Weight is horrible heavy. There are earlier discussion about monocoque structure in this forum. 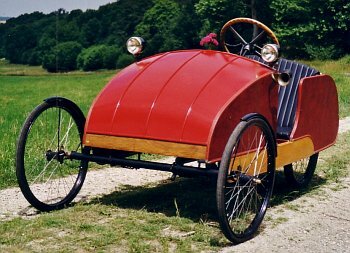 This solution make bossible to use cheap plywood instead expensive airplane plywood and still velomobile could be light. Yes, I will go this way in the next weeks. I want to build a plywood box frame from 4mm Okoume/Gaboon plywood. The density of this material is just 500g/dm³, while birch has 730g/dm³. I'm sure now this is way too rigid, so I can reducing the dimensions of the cross section of beams and stringers inside, to come close to 15kg. Recently I try to determine, if there are interested people for a small series of such cars. If so, the frames will be made by a professional builder, who normally builds wooden airplanes and gliders. He works with paper thin airplane plywood, and I'm sure, he will push the weight down further. His calculated price per frame is really good in comparison to normal recumbent frames. I found same kind of vechile from Ukraine site. Paul Elkins from Washington made a clever replica with a very light shell made of coroplast. Tätä laitetta kehitelty, ainakin ulkonäöltään - vanhasta automaailmasta vaikutteita. 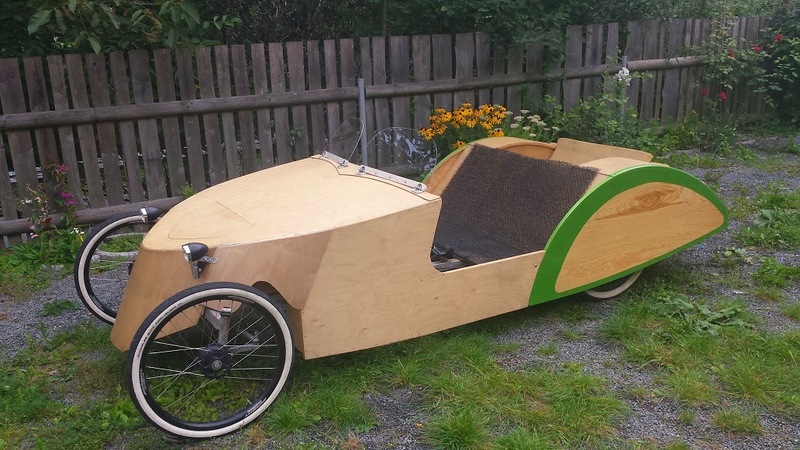 Willkommen Kai sie haben eine echt geile velomobile da! Haben sie Velogatti von e-cruiser hier gesehen? 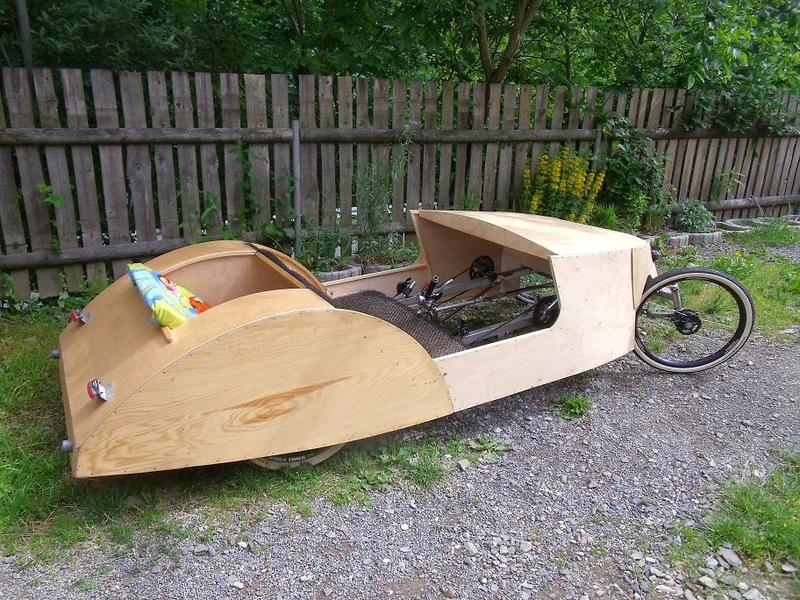 Er hat auch metall mit holz verwandt mit seiner velomobile. Irgendwie ist die esthetik in same richtung in meine augen. Yes, I have seen the Velogatti and exchanged a few messages with the builder. I want E-assist also, because of the hills on my daily route. The new velocar is the second prototype I have built. 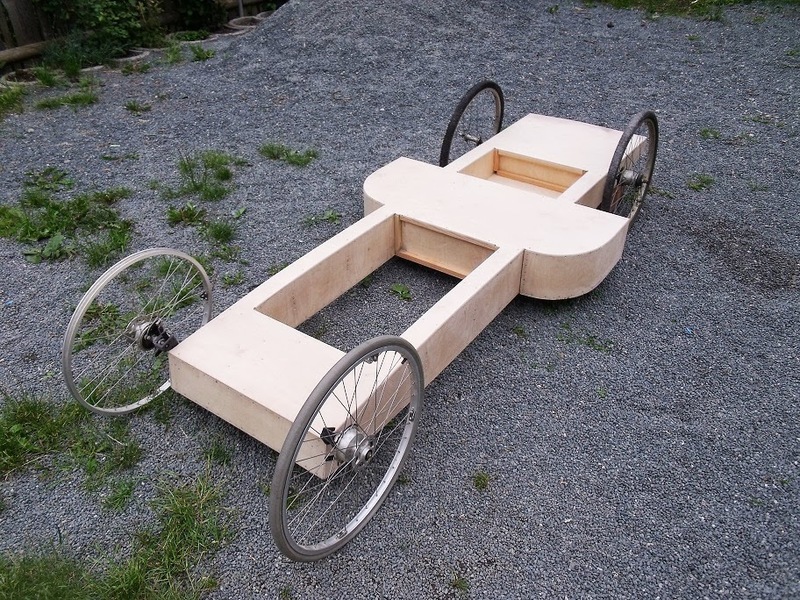 It contains a chassis and body, booth made from 4mm plywood. Full suspension and 2+2seats are also included. Weight is around 70kg, 15-20kg saved in comparison to the previous one.